It is my pleasure to present you with the 2001 Annual Report for the Assembly Standing Committee on Cities. This report describes the legislative action and major issues considered by the Committee, and sets forth our goals for continued legislative support and assistance to cities throughout the State. The Assembly Standing Committee on Cities initiates and reviews legislation affecting New York State's cities. New York State's cities face serious challenges to the maintenance of their economic and more importantly, human vitality. The Committee is dedicated to formulating legislative solutions to improve the fiscal condition and quality of life of all the State's 62 cities. From our state's smallest city with 3,000 residents to our largest with over 7 million, from the rural to the urban, the diversity of these cities challenges the committee with a wide range of issues. I am pleased that once again the Committee was instrumental in maintaining the State Aid to the State's 62 cities enabling them to deliver essential municipal services. The Committee was also responsible for implementing the requests of cities with specific needs in reporting a large number of home rule bills that became law. The Committee Members and I are appreciative of the strong commitment that you have made to assist our cities in providing necessary services for the people of the State. I look forward to your continued leadership and support, which have been crucial to this Committee's legislative successes. The Standing Committee on Cities is primarily responsible for the initiation and review of legislation affecting the State's 62 cities. 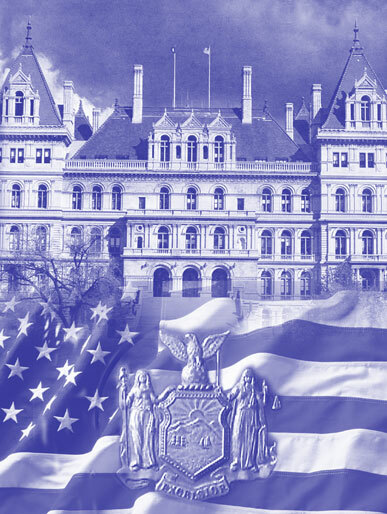 The Committee's role in initiating and reporting legislation is primarily influenced by the Municipal Home Rule powers provided to cities under the provisions of Article IX of the New York State Constitution. Article IX describes and defines the powers, duties and limitations of local governments and the State Legislature in the enactment of laws affecting local governments. These "Home Rule" powers limit the Legislature's action to (a) general law, which applies uniformly to all local governments of equal size; (b) special law, on request by two-thirds of the membership of the local legislative body, or on request of its chief executive officer and concurred by a majority of the membership of the local government, i.e., a "Home Rule Message"; and (c) with two thirds of both houses concurring, action on a certificate of necessity from the Governor, which states that an emergency situation requires enactment of such law. Bills referred to the Committee on Cities are those which would amend City Charters, including the New York City Charter, the Administrative Code of the City of New York, General City Law, Second Class City Law or the General Municipal Law. Bills that relate to cities and would amend general bodies of law such as the Public Heath, Housing, Energy, Transportation, Education, Parkland, or Economic Development Laws may also be referred to the Cities Committee if they have specific or local applicability. Bills referred to this Committee represent the interests and needs of many city departments and agencies, constituent, municipal unions and city-related interest groups such as the Conference of Mayors. Under the leadership of Assemblyman Peter J. Abbate Jr., the Committee monitors the problems of cities and works closely with state and local representatives to develop solutions. The purpose of this bill is to provide real property owners and local governments with a viable solution to encroachments. This bill will allow property owners to make request in writing, to a governing legislative body, for a license which would authorize the continued use and maintenance of an encroaching wall or front. This bill will require such governing legislative body to approve or deny such a request within 30 days of presentation. If after a preliminary determination is made that such encroachment does not adversely impact the use of streets or highways, the governing legislative body will be required to hold a public hearing within 30 days. Further, this bill will allow the governing body to revoke any such license granted for such encroachments. In the event that a building is abandoned, or because a building is not maintained due to a lack of care and enters a state of disrepair, the owner would be required to remove the offending encroachment after notice has been provided. There are many instances where front walls of buildings are more than six inches within the public right of way. The public right of way in many instances is many feet back from the traveled or paved portion of the street or road. Such encroachments pose no threat to the traveling public. The absence of any threat may last for decades. Yet the previous statute offered no authority to grant approval and thus presents a cloud over the title to the property. As a result, few would buy these properties and no lending institution would take a mortgage relating to the property. In most cases this property is abandoned since no one will invest in maintaining the property. This bill will enhance the value of the applicable property, provide a sense of security for the owner, assure the municipality of the continued payment of taxes and avoid the threat of an abandoned, unsafe structure. Further, municipalities and school districts will be able to realize tax revenue which previously were not being paid. The purpose of this bill is to deliver and provide municipal services to the residents of the Town of Johnstown and the City of Gloversville in a more efficient cost effective manner. This bill will empower the Town of Johnstown and the City of Gloversville to enter into agreements whereby the City may agree and commit to provide water and other services to properties in the Town. In exchange the Town and the City may agree to sharing all or a portion of the resulting property tax, sales tax and any other specified taxes generated from such properties. State law currently allows local governments to enter into cooperative arrangements. However, there is no specific mechanism for agreements which involve the sharing of property tax, sales tax and other revenues. The City and Town have many mutual interests, and this bill will help foster municipal cooperation and economic growth. In particular, the Town may have available land but limited services, while the City may have services but limited parcels of land available for development. By working together, both communities may share in the benefits of future growth. The City of Gloversville and the Town of Johnstown have expressed an interest in working together and this bill specifically provides them with the ability to enter into tax sharing agreements. In addition, no such agreements may be entered into without the consent, by majority vote of each of the municipalities governing bodies. Further, in the event that any service provided involves an independent municipal corporation, a majority vote by the governing body would be required. Each year the Assembly & the Committee address bonding issues for a host of municipalities. The following bills were acted upon in the Cities Committee and these respective pieces were later chaptered as a portion of a Local Omnibus bill. This bill will extend the expiration date from June 30, 2001 through June 30, 2002 to allow the City of Buffalo to continue to issue serial bonds or notes at private sale, subject to the approval of the State Comptroller. The present law, which expires on June 30, 2001, has given the City of Buffalo a valuable tool to provide expeditious funds for projects which require immediate attention. Since this law has already proven it's usefulness, an extension of one year will provide the City with enough financial flexibility to encounter any further needs in that time frame. The purpose of this bill is to authorize the city of Yonkers to issue serial bonds at private sale. This bill will extend the expiration date from June 30, 2001 to June 30, 2002 the city of Yonkers authorization to continue to issue serial bonds or notes at private sale, subject to the approval of the State Comptroller. The authorization for Yonkers to negotiate the private sale of its bonds or notes is vital to improving the City's financial stability and independence. The continuance of this power will allow more cost effective financing of the City's decreasing in the debt market, not only due to the financial problems facing New York State, but because the burden of mandates has increased while state aid to municipalities has decreased. The purpose of this bill is to provide financial relief to the city of Buffalo. This bill would absolve the city of Buffalo from any further repayments associated with the loan provided to the City pursuant to the agreement entered into with the Director of the Budget. This bill also provides that any payments received or any forgiveness between the City and the Director of the Budget, the State and any agency shall not be deemed to impair the entitlement to any repayment made prior to the effective date of this act. The purpose of this bill is to limit the use and construction of new heliports in certain areas of a city. This bill would prohibit a heliport from being constructed or operated without first obtaining a valid city permit. This bill would also prohibit a heliport from being constructed or operated in a "densely populated or congested area", except for emergency medical purposes. "Densely populated or congested area" is defined as a city block in which seventy-five hundred persons reside, or where seventy-five hundred persons are employed. The purpose of this bill is to celebrate the life and many achievements of a distinguished New Yorker and commemorate the Presidential Centennial of Theodore Roosevelt. This bill would authorize the Commissioner of the Office of General Services to erect a suitable marked monument or plaque in the State Capitol or Governor Nelson A. Rockefeller Empire State Plaza. This bill authorizes the City of New York, borough of Queens, to reconvey property Block 9137, Lot 252 to Signorile Tomlinson. This bill authorizes the City of New York, to reconvey its interest in land under the waters of Hammond Creek designated as Block 5524, Lot 192 for the tax map for the borough. This bill authorizes the City of New York, borough of brooklyn, to reconvey property Block 3405, Lot 52 to Jose Crispin. This bill authorizes the City of New York, borough of Brooklyn, to reconvey property Block 5228, Lot 37 to Vincent Frangello. This bill authorizes the City of New York, borough of the Bronx, to reconvey property Block 3978, Lot 4 to Frank Switay. This bill authorizes the City of New York, borough of the Bronx to reconvey property Block 4046, Lot 12 to Antoinette Torsiello. This bill authorizes the City of New York, borough of Brooklyn, to reconvey property Block 1551, Lot 54 to Mellowrine Ford. This bill authorizes the City of New York, borough of Queens, to reconvey property Block 13045, Lot 26 to George Pullin. This bill authorizes the City of New York, borough of Brooklyn, to reconvey property Block 3412, Lot 2 to Ernest Brown. This bill authorizes the City of New York, borough of Brooklyn, to reconvey property Block 7877, Lot 47 to Edward J. O'Donnell. This bill authorizes the City of New York, borough of Brooklyn, to reconvey property Block 7402, Lot 44 to Kwong T. Chan. This bill authorizes the City of New York, borough of Brooklyn, to reconvey property Block 1249, Lot 23 to Richard Mayers, Barbara E. Mayers and Beverly Mayers. This bill authorizes the City of New York, borough of queens, to reconvey property Block 13013, Lot 21 to Robert Earl. This bill authorizes the City of New York, borough of Queens, to reconvey property Block 15968, Lot 102 to John D. Goodman. This bill authorizes the City of New York, borough of the Bronx, to reconvey property Block 3139, Lot 19 to Lambert Houses Redevelopment Company. This category is specifically devoted to areas of legislation pertaining to the City of New York. The purpose of this bill is to provide a greater yield on investments made by the New York Fire Department Life Insurance Fund. This bill will allow the members of the Board of Trustees of the New York Fire Department Life Insurance Fund to have the same investment powers as those vested in the Board of Trustees of the New York Fire Department Pension Fund. Any such investment powers would continue to be dictated by the New York City Administrative Code and the Retirement & Social Security Law. At present the trustees of the life insurance fund are limited in how they may invest the funds assets. The yield on the investment by the pension fund far exceeds the yields from life insurance fund investments, because of the current restrictions on such investments. The purpose of this bill is to provide consumers with the opportunity to challenge past years billing records for the use or services of the New York City Municipal Water and/or Sewage System. This bill prohibits the New York City Water Board from establishing a limit of less than four years to challenge any fee, rate, rent or other service charges for the use of or services furnished by the water board and/or sewerage systems. Currently, (as of 2001) the New York City Water Board has adopted rules and regulations effective for bills after July 1, 1999 which require customers to file a complaint within 2 years of the date of a water bill. For bills issued prior to July 1, 1999 the existing 6-year complaint filing period is applicable. There continues to be substantial confusion concerning the application of metered or frontage rates, caps on metered bills and leak forgiveness. The water and sewerage bills are complicated by the transition to meters and the changing rates and regulations. The New York City Water Board has placed no similar limitation of its ability to collect unpaid charges and to place a limitation on the customer is unfair. The New York City Water Board, not the customer, has control over water meters. Two years was clearly not an adequate amount of time for a customer to file a complaint with respect to a water or sewer bill. The four-year time limit is a good compromise from the original six-year time limit and in turn provides a more appropriate time frame from the restrictive two year review rule. Although six years is the normal statute of limitations to utility customers throughout the state, four years will provide adequate time for customers to review and assess water bills. This will also prevent the City of New York from having to be engaged in excessive litigation regarding back billing. Each year the Assembly & the Committee address bonding issues for a host of municipalities. The following bill, along with the Buffalo and Yonkers Bond Sales were acted upon in the Cities Committee and these respective pieces were later chaptered as a portion of a Local Omnibus bill. The purpose of this bill is to allow the City of New York to issue bonds and notes. This bill will extend the expiration date from June 30, 2001 to June 30, 2002 for the City of New York to issue bonds and notes at private sale, subject to the approval of the State Comptroller. In 1978, the Legislature enacted various provisions of the State Financial Emergency Act to respond to the financial crisis existing in the City and to improve marketability of City obligations by authorizing their sale on terms consistent with current market practices. Certain of these provisions contained sunset provisions, and in 1982, the Legislature extended certain sunset provisions and introduced other changes necessary for the continued successful marketing of City obligations Some of these changes were applicable to not only the City, but to other municipal issues as well. Since 1986, the Legislature has extended these sunset provisions annually. This network of legislation has been instrumental in the City's fiscal recovery and in enabling the City to continue to sell its obligations competitively and efficiently in the public credit markets. Indeed, the site of the City's capital program makes the ability to sell debt through negotiated sales crucial to the continuing success of the City's financial program. If the City is to retain the gains it has made and continue to undertake necessary capital projects, it is essential that it retain its ability to utilized modern financing techniques. The continuation of these sunset provisions for five years is essential to the City's continued progress. This bill will grant the New York City IDA with the authorization to provide financing for a "Rail Freight Facility". Rail freight facility is defined as, but not limited to railroad rights-of-way, beds, bridges, viaducts, tracks, switches and any other attendant structure, facility, fixture, and/or property necessary or appropriate for rail freight transportation. Since its inception, the New York City Industrial Development Agency (NYCIDA) has labored, to the detriment of the City's economy, under limitations applicable to no other IDA in the State, such as the prohibition on assisting with rail projects. This rail prohibition was put in place to prevent the NYCIDA from financing transit and commuter projects. The effect, however, is that while other IDA's are able to assist industrial businesses with factory rail connections to main rail freight lines, the NYCIDA is prohibited from assisting industrial businesses in their efforts to improve their rail connections. Transportation expenses, together with energy and labor costs, are key fiscal components for industrial businesses. Financing spur connections between plants and main rail freight tracks is particularly costly. Given the prohibitive costs of these rail connections, businesses have been reluctant to proceed with these projects despite revived rail freight service in New York City through the privatization of the Long Island Rail Road freight service and increased rail competition by national freight carriers. NYCIDA assistance will allow companies to proceed with rail connection projects that carry long-term financial benefits such as reduced transportation costs, and allowing these businesses to expand and create additional jobs. This legislation is also important, as New York City has not attained air quality standards established by the Federal Clean Air Act. Since one rail car can carry on average the same amount of goods as four trucks, these investments by NYCIDA will also have the effect of reducing truck traffic, air pollution from trucks, and wear and tear on the City's roadways and bridges. Additionally, failure to comply with the Clean Air Act can furthermore jeopardize future Federal transportation funds. Reducing truck traffic to and from local businesses will also improve overall quality of life for the communities that host these industrial businesses. The purpose of this bill is to assist the City of New York's Community Boards in implementing community development and coordinating the delivery of municipal services. This bill would permit any City of New York Community Board to require a search be made, free of charge, for records or documents of the Attorney General, Commissioner of Taxation & Finance, the Public Service Commission, the Chairman of the State Labor Relations Board, the Chairman of the State Liquor Authority, the Commissioner of Housing and Community Renewal, etc., or a county clerk or the clerk of a court of record. The purpose of this bill is to provide retirement benefits for employees of governmental entities performing peace officer services in the City of New York. The 5,440 peace officers working for the City of New York, Health and Hospital Corporation, Taxi and Limousine Commission, Board of Education of the City of New York, Police Department and City University work under extremely difficult conditions and are in contact with numerous individuals under various circumstances. By the very nature of their work they are at a heightened risk for exposure to diseases such as HIV, TB and Hepatitis. The Legislature has previously granted paramedics, firefighters, police and correction officers, who engage in similar public functions, presumptive disease disability. This bill sought to remedy this inequity and recognizes the inherent risks associated with these professions. These individuals are justly deserving of these benefits, as are the families should the individuals suffer such a disabling injury or death. The issue of parkland alienation, or the conversion of parkland for other purposes, has been of great concern to the Committee for some time. Case law has been established which requires that any use of public parkland for non-parkland purposes be authorized by the New York State Legislature. As a result, the Cities Committee examines and analyzes all public parkland alienations for the States' 62 cities. Prior to consideration, all proposed parkland alienation legislation introduced was carefully examined to insure that it maintained the Committee's ongoing efforts to protect the public trust and adhere to the Assembly's longstanding policy of preserving open spaces. The purpose of this bill is to authorize the City of New York to lease Steeplechase Park, with improvements thereon, to the Brooklyn Baseball Company, LLC. for use as the home stadium of a professional minor league baseball team, the Brooklyn Cyclones. This bill will authorize the City of New York to lease parklands commonly known as Steeplechase Park, for a term not to exceed 30 years, to Brooklyn Baseball Company LLC. In addition, the stadium, related facilities and concession facilities would be used for the home stadium of a professional minor league baseball team, the Brooklyn Cyclones. This stadium represents a significant investment by the City in the revitalization of Coney Island. The stadium project will serve to attract people to Coney Island and to help catalyze additional private investment in the area. In order to further encourage this type of private investment, the City is making several ancillary improvements as part of, and in the vicinity of the stadium project. Two new walkways from Steeplechase Park to the Riegelmann Boardwalk will be constructed. In addition, further construction will take place on the portion of Steeplechase Park area between the stadium field, playground and potentially for a limited number of concession stands. Finally, certain space on the Surf Avenue side of the stadium will be used for retail or restaurant uses that are appropriate for parkland. The purpose of this bill is to discontinue a portion of the Erie Canal Village, located in the City of Rome. This bill will authorize the City of Rome to sell and convey a total of 3 parcels of parkland to the following: the Rome Historical Society; the Railstar Corporation and the Rome Sports Hall of Fame. The City of Rome has long sought a developer to make use of this historic village. This legislation enables the site to continued to be used as an educational tool and tourist attraction. The City Council and the Mayor overwhelming support this new endeavor and believes it will help lead to the revitalization of the Erie Canal and the Historic Erie Canal Village. This bill will also require that the parkland to be conveyed be operated for the ascribed purposes or such property would revert back to the City of Rome for park and recreational purposes. The continued fiscal crisis faced in all cities, most notably the four big upstate cities, Rochester, Buffalo, Syracuse and Albany is a direct result of the demand for more community based services. In order to meet these service demands, cities have been forced to increase spending. In part, the high per capita service costs reflect the commuter population, which depends on city services during the day but returns to a home outside the city's taxing jurisdiction at night. Spending is also higher because of the increasing concentration of poverty in central cities and the fact that the level of basic services which must be supplied (as opposed to discretionary services) is higher when the population being served is disadvantaged. The tax base on which cities depend has been growing much slower than in the rest of the state; the average annual growth rate in taxable full value was 7.8% for New York City and 7% for upstate cities from 1975 to 1994 as opposed to growth of 9.1% outside of cities. This seemingly small differential, when compounded, means that upstate cities' tax bases are now about two and one half times greater than they were twenty years ago and New York City's roughly tripled, while the tax base outside of cities grew roughly four and one quarter times. The baseline budget adopted in August represents the continued commitment of the Assembly Majority in ensuring aid levels which will allow the State's 62 cities to provide essential services. The 2001-2002 State Budget maintains the increases in State Aid from the 2000-2001 State Budget. These funding levels include the $123.1 million and 5% across-the-board increase in revenue sharing for all cities, towns and villages outside of New York City. To assist the City of New York, the Legislature has passed additional bonding authority for the Transitional Finance Authority. In order to address and better meet the needs of the City, this legislation (Chapter 297 of the Laws of 2001) provides an additional $2.5 billion to cover costs in the City's Budget. In doing so, the City will be able to begin reconstruction and rebuilding in areas directly affected and/or arising from the terrorist attack of September 11, 2001. The purpose of this bill is to provide emergency financial assistance to certain cities. This bill will provide payment assistance to each city having a population of less than 125,000 more than 90,000 based upon the existing financial aid formula. Constitutional taxing limits on the amount of revenue that can be raised through the Real Property Tax (Article 8, Section 10 NY State Constitution) have caused a difficult financial hardship for the State's larger cities. Without such special assistance, these cities would be unable to provide municipal services. Known as "Overburden Aid" and originally passed in 1975, this special assistance has become an important and irreplaceable source of revenue for cities which have reached constitutional taxing limits. Foremost, the Committee will work within the fiscal restraints placed on the State which have occurred as a direct result of the tragic events of September 11, 2001. Yet the Committee will continue to vigorously advocate on behalf of the State's Cities. Under the leadership of Speaker Silver, in conjunction with the Chairman, the Cities Committee will work to improve the financial condition of the State's 62 cities. The Committee believes that until a fair and equitable solution to revenue sharing is formulated and implemented, certain cities will continue to need additional assistance in order to ensure that they are able to provide essential services. Therefore, a primary goal of the Committee will be to achieve a comprehensive solution to revenue sharing which will assist our cities, towns and villages in alleviating a portion of the financial burden placed upon them. The Cities Committee will continue to promote and strengthen the Empire Zones Program as an integral part of providing economic development and economic self sufficiency in urban communities. In 2002, the Cities Committee will again endeavor to assist all 62 Cities of the State by passing legislation strengthening our commitment to maintaining their economic well being. The Committee's other areas of oversight will again range from involvement in issues dealing specifically with New York City, the protection of public parklands and the parkland alienation process, the return of property through the In Rem Tax Proceedings, the sale of bonds and neighborhood improvement projects.